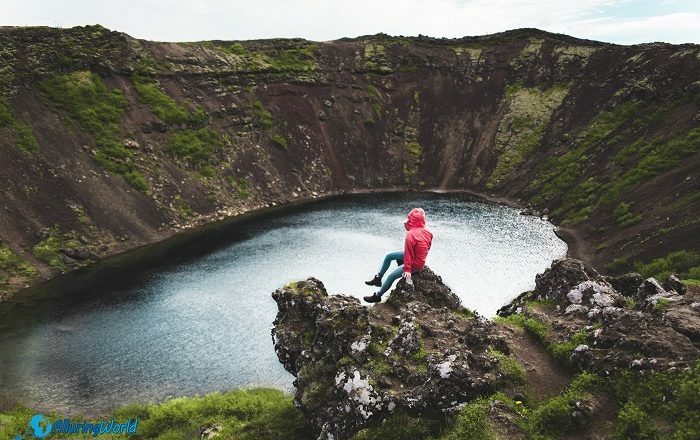 Kerið Crater Lake, also known by its Anglicized name Kerid, is an impressive volcanic crater lake which is located in the Grímsnes fissure in the southwestern part of Iceland. 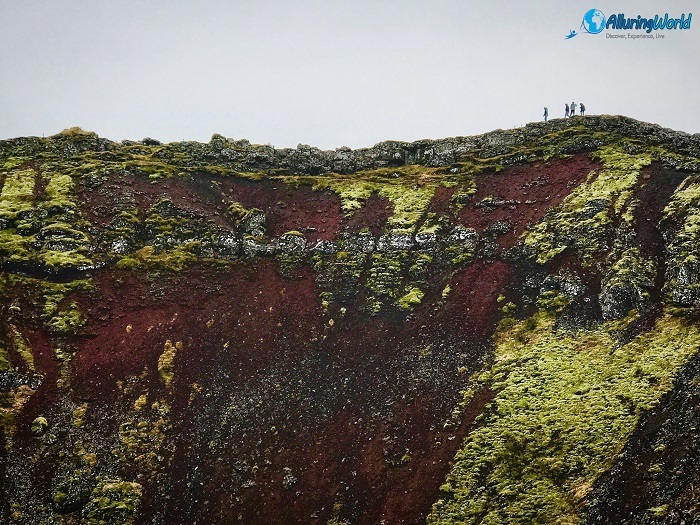 As it is located on the well known Golden Circle, it is visited by many nature enthusiasts, making it one of the most visited places on the island. 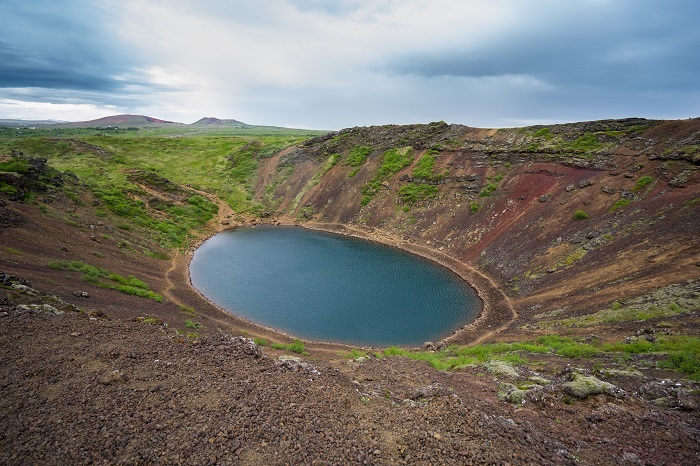 Being one of several crater lakes in the area, Kerið is 55 meters (180 feet) deep, 170 meters (560 feet) wide and astonishingly 270 meters (890 feet) across. 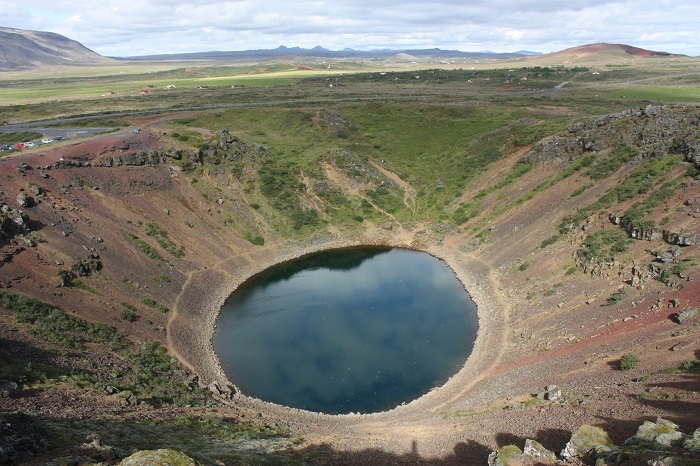 With the scientific surveys which explored the crater, it is estimated that it is some 3,000 years old, and even though usually crater lakes are formed by a huge volcanic explosions, Kerið was actually formed when the magma in the center of the crater simply depleted and the chamber caved in. Nowadays, the impressive bright sapphire-looking waters can be seen from the rim of crater where a small path has been created. 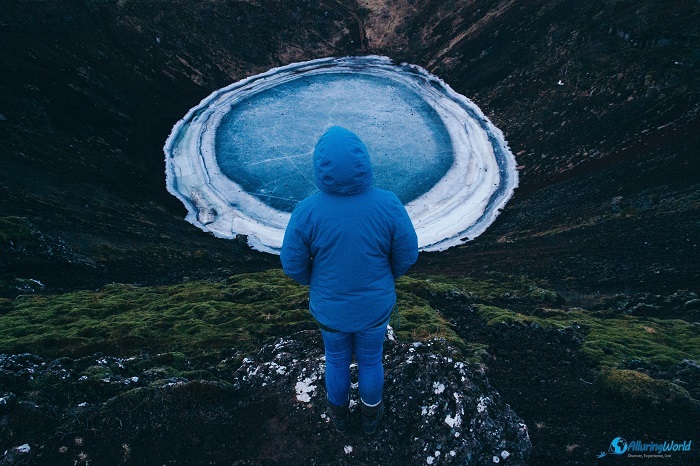 The lake itself is surrounded by steep red and black slopes that are contrasting with the aquamarine water, creating a landscape which for some people could be out of this world. Even though there is little vegetation on the steep slopes, it has a rich, deep moss on the lesser steep slope from where some adventurists can get to the small lake. All in all, it is definitely one of the most interesting, if not the most beautiful place one can see while visiting the very picturesque Iceland, and even in summertime the people are gathering on the circular slopes that resemble something like an ancient amphitheater and where they enjoy in the concerts organized on a floating raft on the lake.